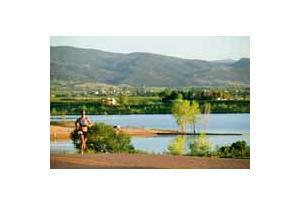 The Boulder Peak Triathlon, Duathlon & Aquabike on July 14th is one of the countries longest and most well-known triathlons. For the veteran or first time racer, this is THE can’t miss event of the summer triathlon season, and the crown jewel of the Colorado Triathlon Series. Racers are tackling the infamous “Olde Stage” Hill, boasting an average 15% grade on their way to the finish line! This race has earned it's spot on more than a couple notable “Best Triathlons in America” lists. In 2017, the Boulder Peak was listed as one of the top 15 most amazing triathlons in the United States by The Culture Trip! Race Day Schedule Sunday July 14th - Race Day!